Chinese smartphone manufacturer Huawei has been in the news a lot lately as it looks to become more of a success outside of the Asian market. 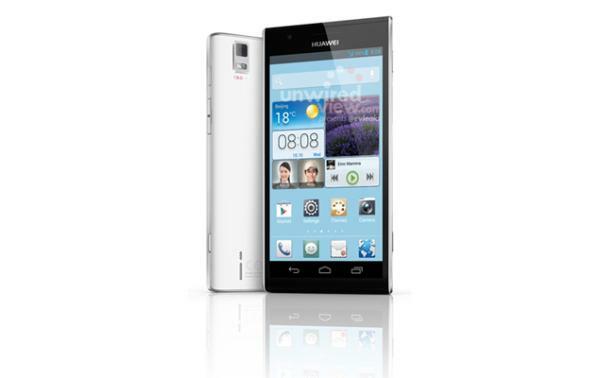 They have been busy launching a number of new handsets that feature some worthy specifications, and now we have news of the Huawei Ascend P2 with some key specs and good looks to boot. The company is starting to gain a name for itself with the launch of some great looking handsets such as the Ascend D2 and the 6.1-inch Ascend mate. Now another high spec handset has leaked that is expected to be unveiled at next month’s Mobile World Congress in the shape of the Ascend P2. This includes an image that you can see on this page with the handset featuring a 4.5-inch Full HD display with a rumoured quad core processor under the hood clocked at an impressive 1.8GHz. Other features are thought to include 2GB of RAM and a 13 megapixel rear facing camera. There is also an alleged 1.3 megapixel front facing shooter, 3000 mAh battery unit, and the device will be running the Android 4.1 Jelly Bean operating system. What could be a deal breaker for the Huawei Ascend P2 though if true is the 8GB of on board storage that is rumoured to be un-expandable. The handset is said to be only 6.99mm thick and the processor will be the HiSilicon K3V2 unit that features a Cortex A9 design. The company only revealed the Ascend P1 LTE back in November of last year, which features a 4.3-inch Super AMOLED qHD display on a dual core Qualcomm Snapdragon S4 processor clocked at 1.5GHz. This only had 4GB of internal memory but is expandable by up to 32GB, so it remains to be seen if the Ascend P2 loses this option. Source and image: Unwired View. Will you be considering a smartphone from Huawei this year?